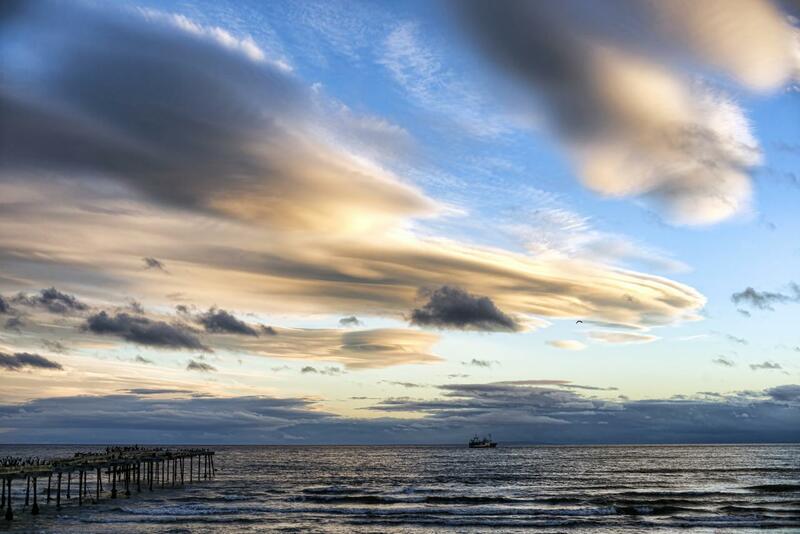 At the southern tip of Chile is the remote, windswept frontier town Punta Arenas. 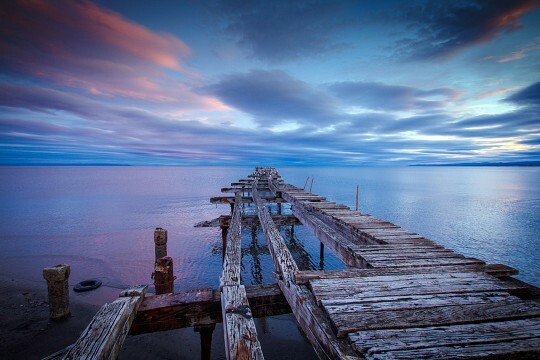 Punta Arenas, which in English means “Sand Point”, is the capital city of Chile’s Magallanes region, the southernmost province in the 2,610-mile-long country. This region includes Cape Horn, Tierra del Fuego, Torres del Paine, Puerto Natales, and a piece of territory in Antarctica. Punta Arenas is extremely isolated due to the extreme landscape and tremendous distance that separates it from Santiago and the other areas to the north. 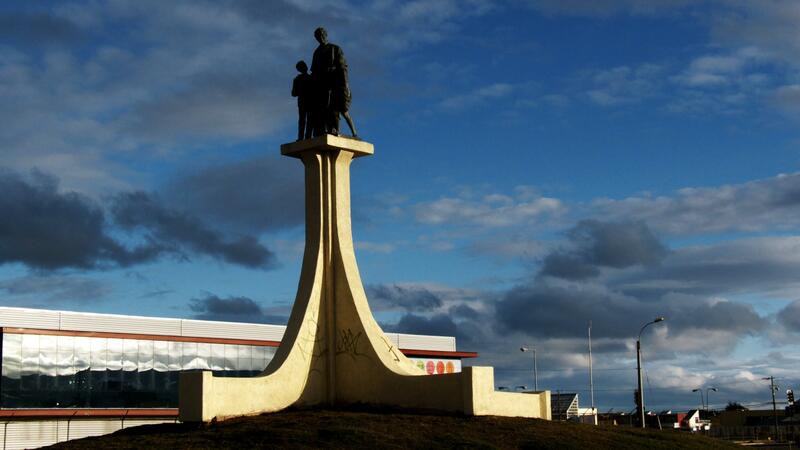 In fact, Punta Arenas is so remote that one must cross over into Argentina when driving to Santiago. Punta Arenas, despite its isolation, is one of the largest cities in Patagonia. It is a modern, bustling city with a population of 120,000 people. With ample restaurants and cafés, outdoor equipment retailers, boutiques, green parks dotted with artisan craft carts, and numerous hotel options for travelers, this city—which is generally a launch point for travelers to Torres del Paine and other destinations—is becoming a destination itself. Tourism in Punta Arenas includes protected wildlife sanctuaries, unique local culture, stunning European-influenced architecture, and glimpses into the truly fascinating history of Cape Horn. Punta Arenas + casino. Photo by Carlos Y. The town center is Plaza Muñoz Gamero, a quaint tree-lined park with gardens and, on most days, an artisans market with a variety of handicrafts and souvenirs. A statue of Magellan, surrounded by bronze figures of the local Mapuche people, stands in the center of the plaza. By tradition, visitors to Punta Arenas rub the big toe of one of the Mapuche statues--the toe is clearly polished a bright bronze by all the foreign fingers --for good luck and as a sign that they will one day return to Punta Arenas. The Centro Cultural Braun-Menéndez is located just northeast from Plaza Muñoz Gamero and provides a taste of the history and extravagant lifestyle of the city’s elite. The mansion is furnished with imported European touches and elaborate painted frescoes on the ceiling. The building is preserved as Don Mauricio Braun had built it in 1905. The Museo Regional de Magallanes occupies a portion of the ground floor and has exhibits showing Punta Arenas’ history. 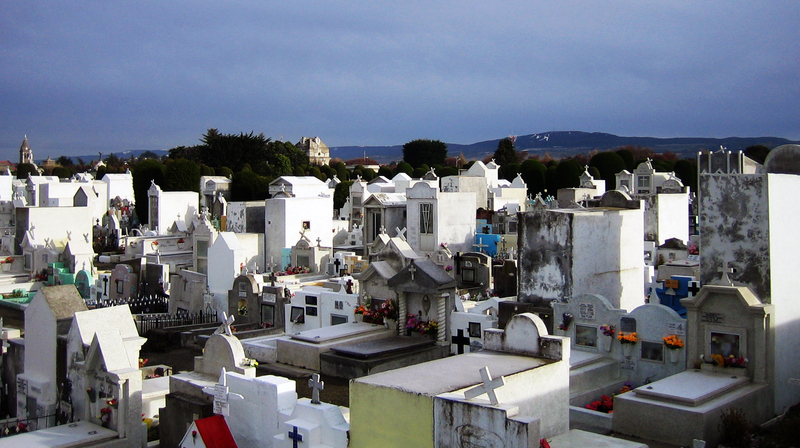 The Cementerio Municipal is more like a serene, landscaped park than a cemetery. Beautifully sculptured hedges and elaborately decorated plots and above-ground mausoleums rest in neat rows. People from all over the world are buried here, either during Punta Arenas’ age of European expansion or from the countless ships that wrecked along the coast. Just outside of town, the eerie Lord Lonsdale shipwreck rests on her belly on the rocky shore, bowsprit pointed inland to the highway. 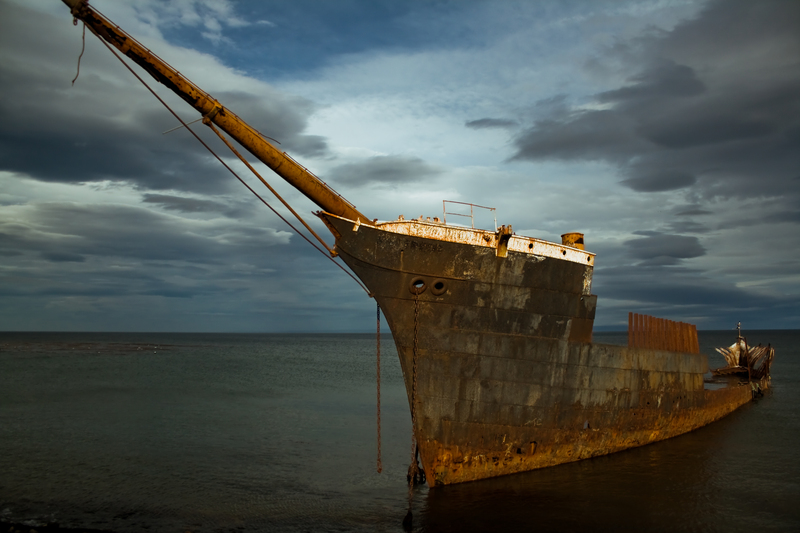 The Lord Lonsdale was a British sailing vessel that caught fire in the Falkland Islands in 1909 and later was beached along the shore of Punta Arenas. There are overlooks next to the road where visitors can take pictures and marvel at the juxtaposition of the old, rusted wreck next to the industrialized city. Beer enthusiasts will enjoy a trip to the Austral Brewery, Chile’s oldest brewery and the southernmost brewery in the world. Tours of the facility allow visitors the opportunity to see the process in action and to learn more about this historic brewery. Founded by a German brewmaster in the late 1800s, Austral Brewery is a staple of Chile’s beer-making culture as it revolutionized the industry and gained popularity among the residents of Punta Arenas, European settlers and native people alike. Call ahead to determine hours of operation. The history of Punta Arenas and the Strait of Magellan are tied closely with the history of many other countries, as explorers and traders traveled through the area on their way to Asia prior to the construction of the Panama Canal. The strait is a natural waterway that cuts between Punta Arenas and Tierra del Fuego, though unpredictable weather and relentless wind makes it difficult to navigate. The Magallanes’ namesake is Portuguese explorer, Ferdinand Magellan, who was the first European to venture through these icy waters in the 1500s. After navigating through the treacherous strait, he and his crew disembarked near present-day Punta Arenas before continuing on to the Pacific Ocean. In the years following Magellan’s visit to Punta Arenas, groups of conquistadors, cartographers and biologists passed through the straits but never stayed for very long. A team led by Spanish explorer, Pedro de Gamboa attempted to settle in the area, but all 300 men except for one survivor starved to death during the winter. 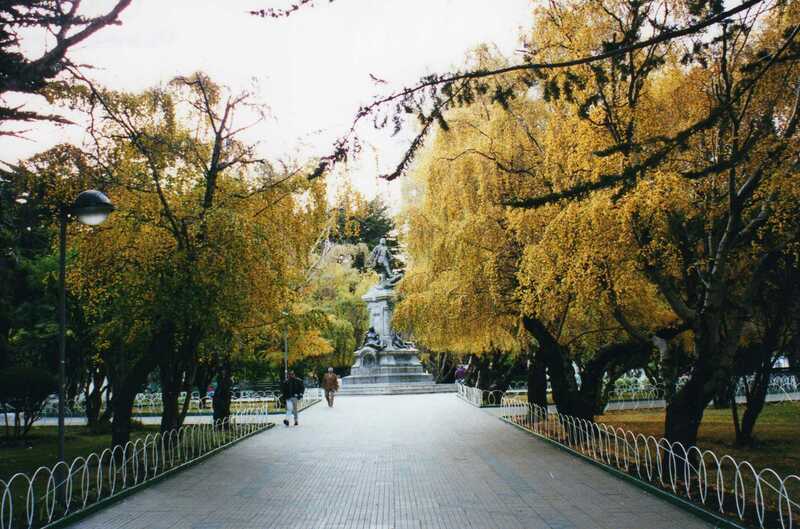 The settlement of Punta Arenas was founded in the mid-1800s. The early years of Punta Arenas were bloody and dangerous for the new settlers, who faced frequent attacks from the native people in addition to the hardships of living in such a difficult environment. 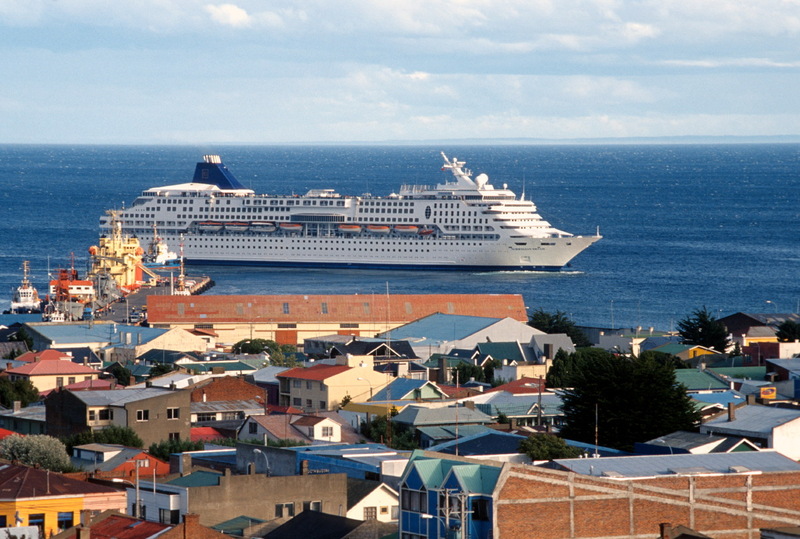 Shortly after Punta Arenas was established, worldwide sea trade became a prominent industry and, with all commercial vessels passing through the Strait of Magellan, the town quickly turned into one of the busiest ports in the world. With the town’s popularity among merchants skyrocketing, Europeans took advantage of the economic boom and started to establish sheep farms in the vast Patagonian steppe. Because of this heavy influence of livestock and prevalence of European traditions, Chilean Patagonia and its Argentine counterpart developed together in similar spirit. For this reason, “Patagonia” is often regarded as an entity separate from the rest of each respective country because of the region’s shared sense of existence and history. 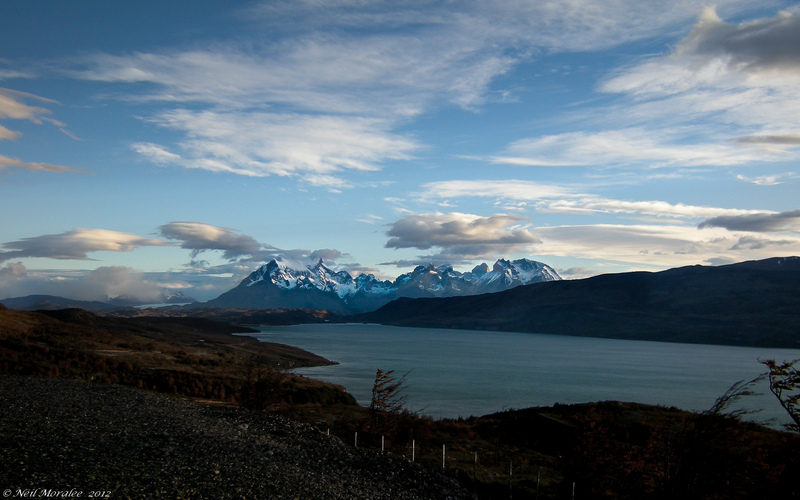 The Magallanes region is rocky and harsh, battered by the infamous Patagonia wind and ever-changing weather. The Magallanes are flanked on either side by desolate steppe and a wall of mountains. The coast is a mosaic of small, uninhabited islands that actually are the tips of submerged mountains. And, of course, there are the crystalline lakes, picturesque peaks, and dramatic glaciers that draw so many travelers to this remote edge of the world. It is both severe and spectacular, bleak and vibrant. The opulent European architecture of Punta Arenas is a testament to the city’s past as one of the most prosperous seaports in the world. Luxurious 19th-century mansions with wrought iron gates are the remnants of Punta Arenas’ golden years as a prominent seaport and ranching community. A walk through town is an opportunity to experience the grandeur of the historic buildings and see how Europeans influenced the culture of Punta Arenas. The weather in Punta Arenas is unpredictable. When there is cloud cover and wind, the town can seem downright gloomy. On the other hand, a bright sunny morning showcases the town’s many colorful buildings and ornate architecture. This dichotomy is all part of the Patagonian experience and goes hand-in-hand with being at the extreme tip of the Americas. Punta Arenas and the Magallanes are surprisingly close to Antarctica, but the weather—though harsh—does not experience the same extremely cold temperatures. The average temperature during the austral summer is about 55° F. Be prepared for wind as well as sporadic rain or sleet. 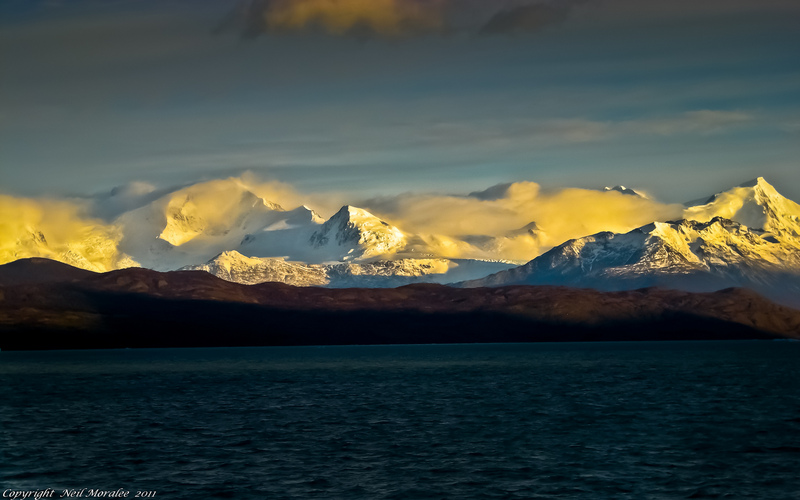 A rain jacket (and, depending on what you are doing, rain pants), a wool hat, gloves, and warm baselayers are essential when visiting Punta Arenas. If you are on your way to or from Puerto Natales, Torres del Paine, El Calafate or Antarctica, these clothing items likely will already be in your luggage. 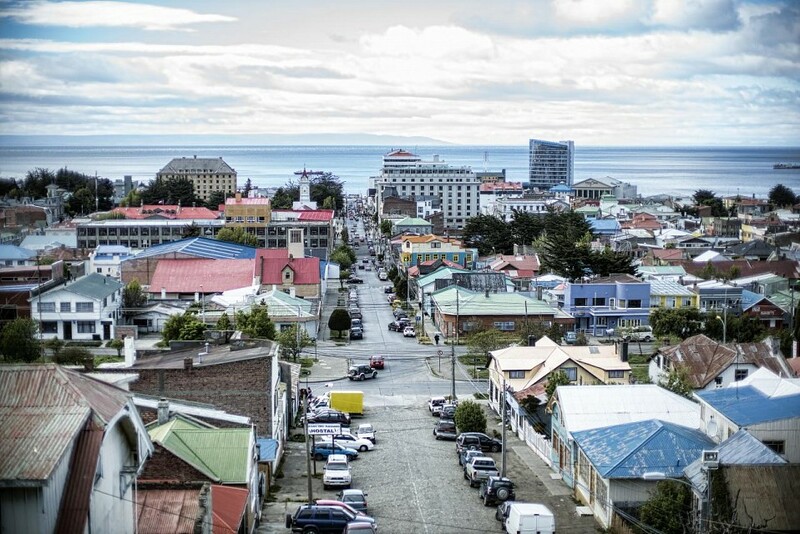 The best time to visit Punta Arenas is during the austral summer, when temperatures are milder and the sun shines for up to 20 hours each day. Depending on how long you are staying in Punta Arenas, it might be worth it to also plan some longer side trips outside the city, like to a penguin colony or to Tierra del Fuego National Park, for example. Don Bosco - Punta Arenas. Photo by Carlos Y. There are daily flights to Punta Arenas from Santiago, Puerto Montt and other locations in Chile, primarily on LAN and Sky Airline. If you are fortunate enough to have a window seat, watch the landscape below you change before your eyes. The lush green mountains of the Lake District transform to the icy fjords of the Aisén region, followed by a pass over Torres del Paine. Lodging options run the gamut in terms of price and amenities. A few hotel options are the luxurious and visually stunning Hotel José Nogueira ( $ 215 USD for a double room), and the more affordable, historic Hotel Plaza ( $ 121 USD for a double room). Both hotels are near the central plaza. 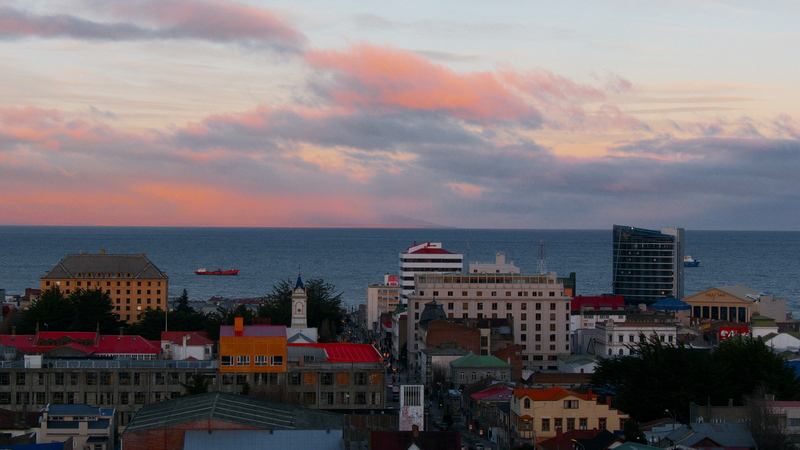 Backpackers may prefer to stay in a hostel while in Punta Arenas. There are many hostel options at very affordable prices, including Hostel Keoken ( $ 21 USD for a private room) and Hospedaje Costanera ( $ 21 USD for a private room). 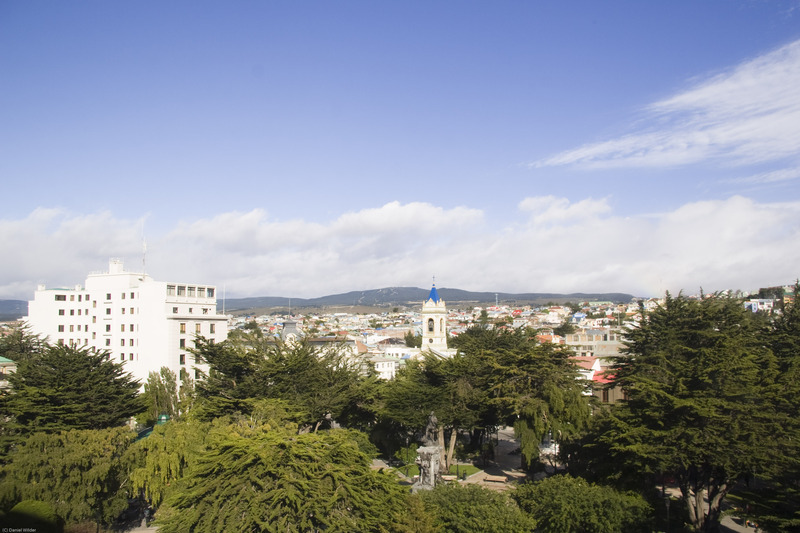 Although violent crime in Punta Arenas is rare, petty crime like pickpocketing runs rampant. Be sure to watch your possessions and take common-sense precaution when walking around after dark.